Cloudinary, a provider of solutions for managing images and video in the cloud, is offering HTTP/2 support, enabling developers to further optimize the user experience. To take advantage of HTTP/2, Cloudinary users don’t have to do a thing – it’s been automatically integrated into the online tools. Websites have changed dramatically over the past several years, featuring more images and video. But the underlying HTTP protocol hadn’t kept pace, until the IETF’s recent approval of the HTTP/2. 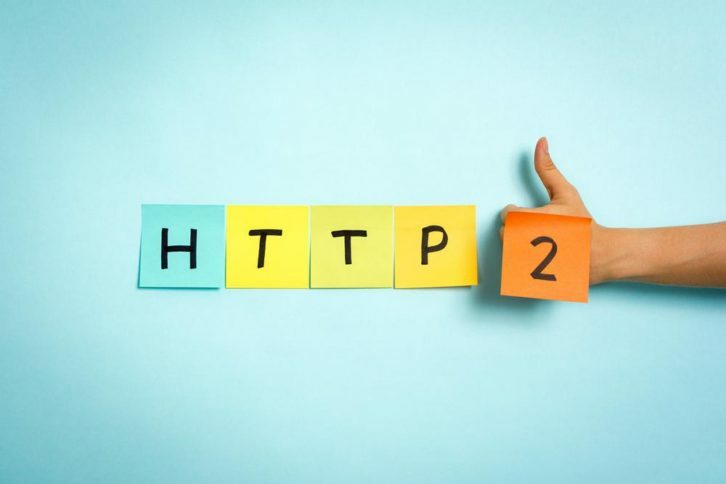 The goal of HTTP/2 is to improve website performance, reducing the amount of bandwidth required and latency, while making it easier for developers to use secure connections. The adoption of HTTP/2 was initially slow. But since January 2016 more sites have announced plans to move to HTTP/2 or are offering true support of the protocol. For example, both Wikipedia and Blogspot announce in May that their sites are now supporting HTTP/2. 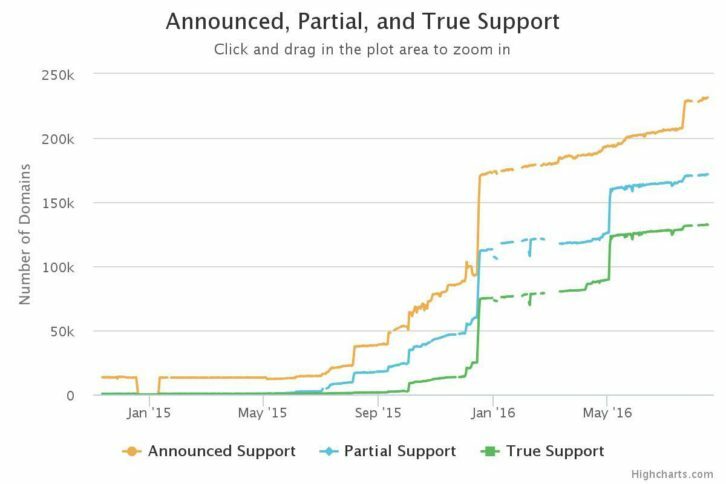 The graphic below from HTTP/2 Dashboard illustrates the greater adoption since the beginning of the year, and enables you to interactively see how many domains have announced support for HTTP/2, and those that offer partial or true support at any given time. As more and more sites begin to adopt the technology, HTTP/2 is generating a lot of buzz in the industry now. Most browsers support HTTP/2 (though some only do so through over HTTPS) and it is designed to be backwards compatible with older versions. HTTP/2 will deliver the highest performance gains for those websites using images on their pages, with image-heavy sites seeing the most improvement. What makes HTTP/2 unique is that instead of requesting images sequentially, it requests them all together and optimizes it over a single connection. This demo the Akamai website clearly shows the differences between HTTP/2 and its predecessor HTTP/1.1. For more information on how Cloudinary can help you manage images and videos on your website, visit https://cloudinary.com/.